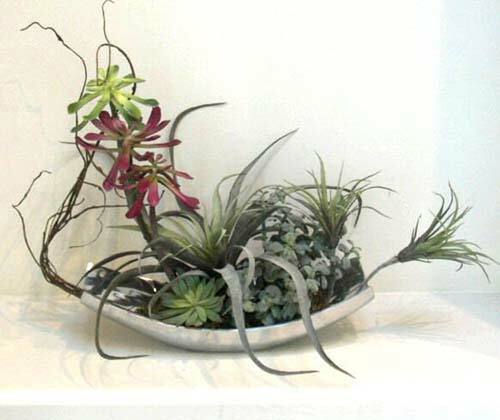 Make Be-Leaves has enjoyed working with interior designer, Mari-Ann Williams of LS3P Associates on multiple projects. 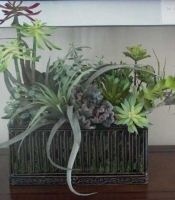 The most current project involved creating a faux mixed succulent wall for a commercial building. 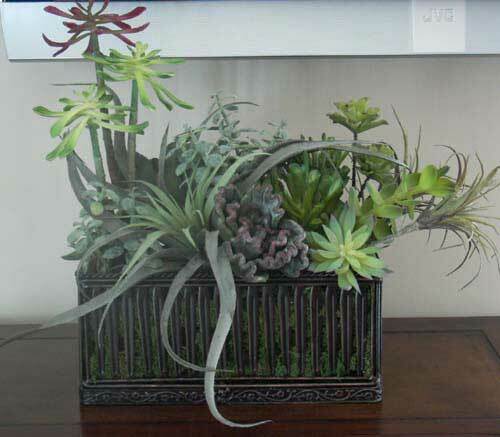 Initially the design concept was to create a solid succulent wall, but due to budget parameters, Make Be-Leaves suggested incorporating tiered layers of trailing faux succulents in long horizontal planters attached to the wall. 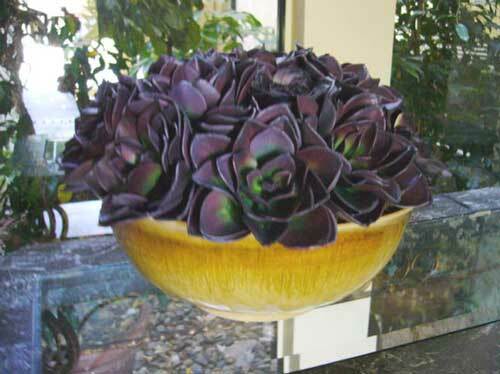 We had worked on a similar design concept in creating a faux mixed succulent wall for one of the sets of the television show, Transparent. 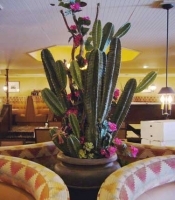 Set decorator, Susan Echelbach, used wooly pockets to create the layered wall, and Make Be-Leaves constructed the faux mixed succulent plantings on a Styrofoam base to fit in the “pockets”. 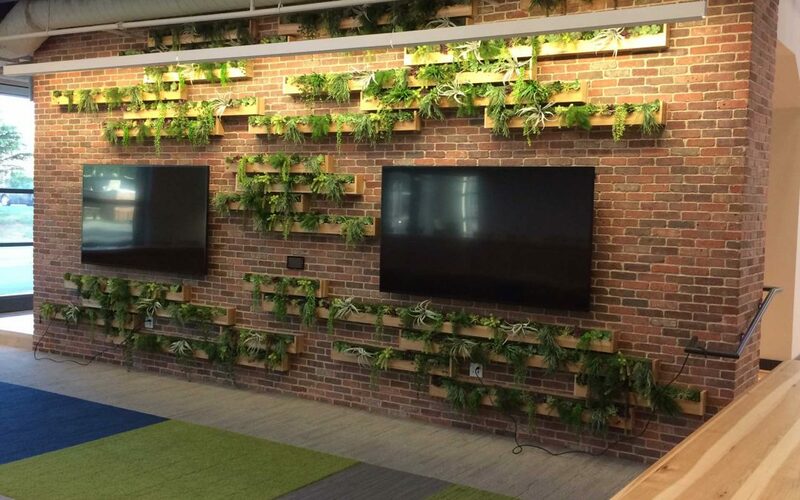 The end result at the commercial building was actually a more interesting design, incorporating the contrasting existing brick wall, with contemporary sleek planters fill with mixed succulents. 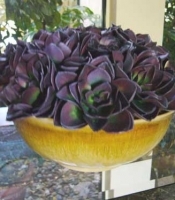 Make Be-Leaves, located in Agoura Hills, California, manufactures artificial plants (also known as silk, dried, faux, or fake) flowers and trees. Here is where landscape architects and interior designers are in control of the wild. 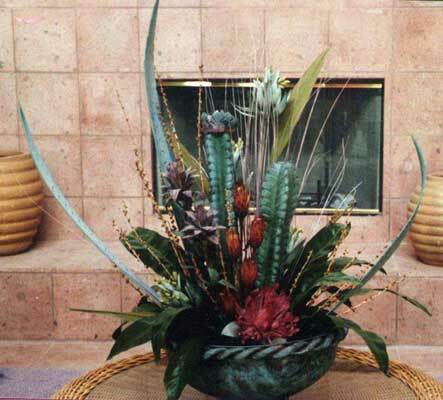 We are among the top artificial plantscaping companies in the country. 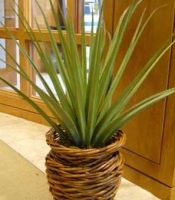 We supply an endless variety of bespoke faux plants, silk flowers and trees. 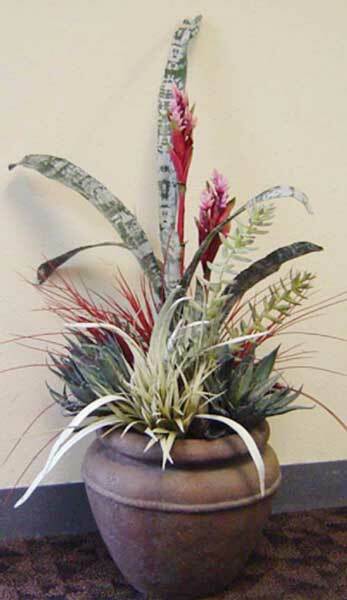 Crafting contemporary artificial plants using a combination of silks, UV treated fabric and wood materials. 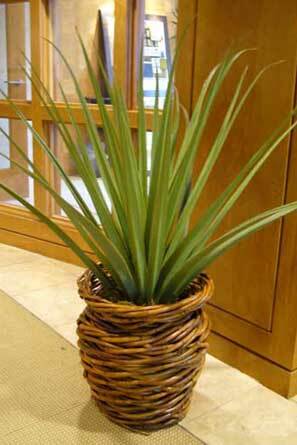 These are commercially rated, maintenance free UV stabilized artificial plants for indoor and outdoor living spaces. 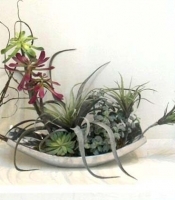 Make Be-Leaves is proud to be a GSA-approved, WBENC-certified Woman Owned business. 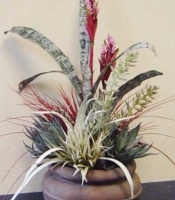 Our plant creations are life-like, improve LEED rating and save you money. 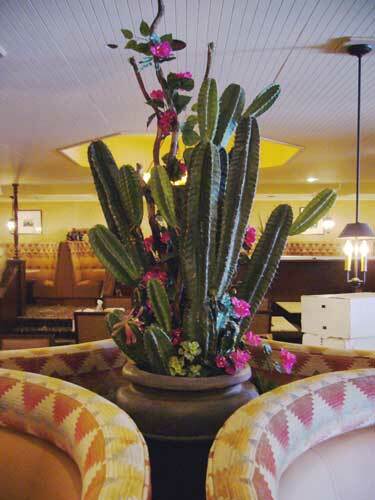 Together, we bring your faux foliage dreams into reality! 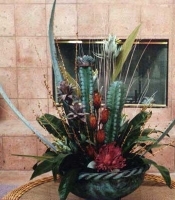 Contact Susie today for a one-on-one consultation.